The Corporate environment is overwhelming – Need a break? Visit-Vakasha is the place to be. Our rooms are elegant, comfortable and attractively furnished; enabling each room to be a place of…RELAXATION. When you need time to put up your feet, write a pressing report or have an intimate conversation our rooms are suitable for both. Visit-Vakasha Guest Lodge was established in 2007, by the owner’s passion of serving, hosting and love for people. Accommodation, Conferencing & Catering is what we specialize in. We are a three star graded facility. A Breathtaking establishment, accessible to all amenities, with fully equipped, prestigious ensuite rooms. 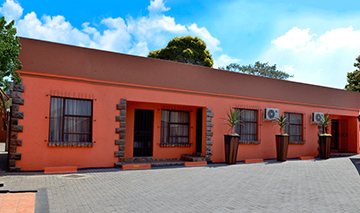 Situated at 45 Woltemade street, Ext. 12 eMalahleni/Witbank. 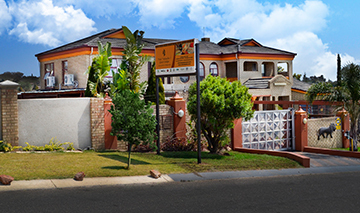 A Mansion with luxurious ensuite rooms and a fully equipped “wisdom” conference facility. Situated at a tranquil suburb called Die Heuwel Ext. 4, 12 Acasia Str. eMalahleni/Witbank. JUDGING THE BEST OF THE BEST!! !